When you are sick and you go to the doctor to determine what is wrong so that it can be fixed, you are relying on their expertise and their knowledge to properly diagnose your condition. However, doctors – being fallible human beings – make mistakes. Let us say they misdiagnose your medical condition, which means that they fail to attribute the symptoms you are presenting with to the illness that you actually have and attribute them to another ailment entirely. They then proceed with a course of treatment for the wrong illness while the actual illness goes untreated and gets worse. The medications that your doctor prescribed for the mistaken diagnosis may have harmful side effects that create a whole new health problem. The Rocky McElhaney Law Firm is not afraid to take on medical doctors, hospitals and their powerful insurance companies in order to protect your right to compensation when you have been injured due to medical malpractice. We are ready to be strong advocates for your rights, and we never stop fighting for the people we serve. When you need a Nashville medical malpractice attorney in your corner who doesn’t give up, RML is ready to help. Unfortunately, misdiagnosis is not a rare occurrence in the practice of medicine. CBS News presented a story that highlighted a study that was published in the journal BMJ Quality and Safety, which said that approximately 12 million adults who seek outpatient medical care are misdiagnosed. In about 1 in 20 cases there is a misdiagnosis, and in half of those cases there is a potentially harmful result. There are a few diseases that present a challenge when it comes to making a definitive diagnosis. Sometimes a person’s symptoms vary, are nonspecific and they can cause the doctor to diagnose the wrong condition. There can be errors in diagnostic test, and sometimes tests do not yield a definitive answer. 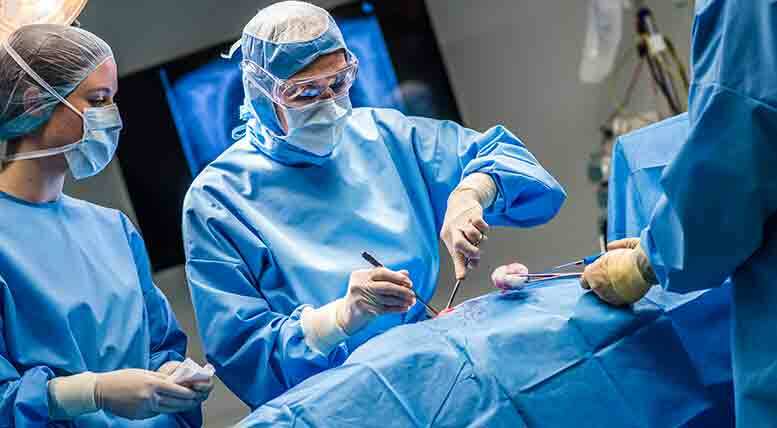 Misdiagnosis errors, according to the BMJ study mentioned earlier, far exceed drug errors, surgeries on the wrong side of the body or the wrong organ of the body, and far too many have life-threatening consequences. Lupus. Often confused with chronic fatigue syndrome, fibromyalgia or rheumatoid arthritis. Irritable bowel syndrome. IBS is diagnosed by eliminating other possible ailments because there is not a definitive diagnostic test for it. Fibromyalgia. Can appear to be rheumatoid arthritis, chronic fatigue syndrome. Multiple sclerosis. Often confused with Lupus, viral infections or bipolar disorder. Chronic fatigue syndrome. Can mimic the symptoms of lupus, fibromyalgia or rheumatoid arthritis. The doctor made a mistake, but it is malpractice? The bottom line with proving malpractice is first proving negligence, and then presenting the evidence of the injury suffered as a direct result of that negligence. The plaintiff must show that another doctor in the same field of specialization and under similar circumstances would have made the same diagnosis. Finally, the plaintiff must prove that they suffered harm from the misdiagnosis. In the earlier example, the patient’s actual illness is growing worse day by day because they are not being treated while the side-effects of the wrong medication are making them ill. This patient was harmed by the misdiagnosis. If the actual illness were a progressive disease such as cancer, which when caught in the early stages is easier to cure, the lost time could ultimately cost the patient their life. Knowing that your doctor misdiagnosed your illness can be discouraging. The Nashville medical malpractice lawyers of the Rocky McElhaney Law Firm fight on your behalf to pursue a medical malpractice lawsuit against those responsible for your injury. You are welcome to call to schedule a consultation time, please call 888-619-4765 or complete our contact form today. We proudly represent clients throughout Nashville, Hendersonville and Knoxville.